Thanks to a newly passed bill from Govt of China, OnePlus' flagship model, the OnePlus 6T has received a significant price cut in India, which now starts at 2999 Yuan or Rs 29,999 with a massive 400 Yuan or Rs 4,000 price cut. The base variant of the OnePlus 6T with 6 GB RAM and 128 GB now retails in China for 2999 Yuan or Rs 29,999, whereas the high-end variant with 8 GB RAM and 128 GB storage retails for 3,199 Yuan or Rs 31,999. At the given pricing, the OnePlus 6T is one of the best flagship smartphones, which offers a premium design, flagship specifications, and future proof technological advancements like an in-display fingerprint sensor. However, this might not be the best time to buy the OnePlus 6T smartphone, as the company is on the verge of launching the next generation OnePlus 7 smartphone in the next few weeks. The OnePlus 7 is expected to come with a bezel-less notch-less display design with a triple camera setup. 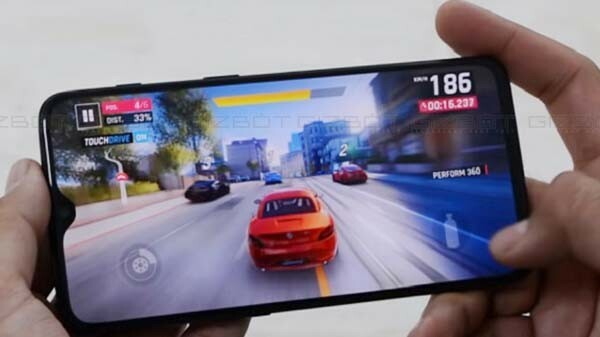 The OnePlus 6T comes with a 6.41-inch display with a water-drop notch display design, offering higher screen to body ratio. The Qualcomm Snapdragon 845 SoC powers the smartphone with 6/8/10 GB of RAM and 128/256 GB of internal storage. The smartphone has dual SIM card slots with support for 4G LTE and VoLTE on both the slots. The device does offer Bluetooth 5.0, NFC, and dual-channel Wi-Fi support. The smartphone has a dual camera setup with a 16 MP primary RGB sensor and a 20 MP depth sensor. On the front, the device houses a single 16 MP selfie camera with 1080p video recording capability. The OnePlus 6T also has the biggest battery on a OnePlus smartphone with a 3700 mAh capacity, backed by Dash Charging via USB type C port, which also doubles as a headphone jack.